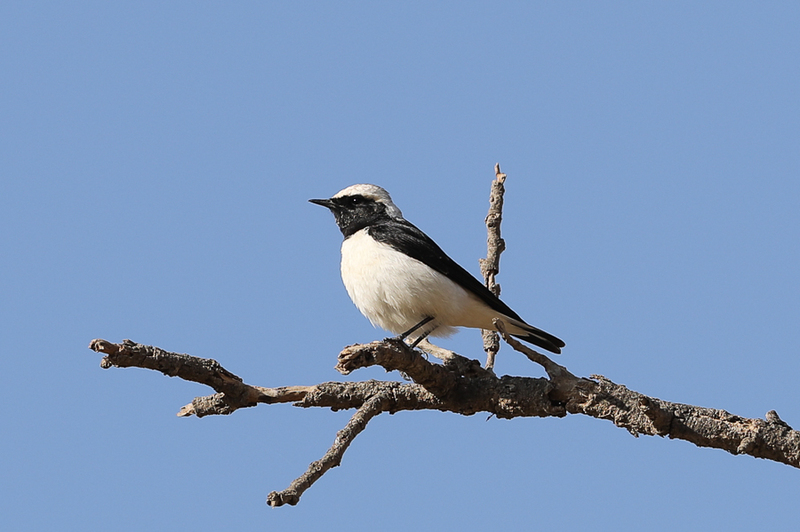 Whilst birding the Tanoumah area I saw plenty of Arabian Wheatears at many different sites. 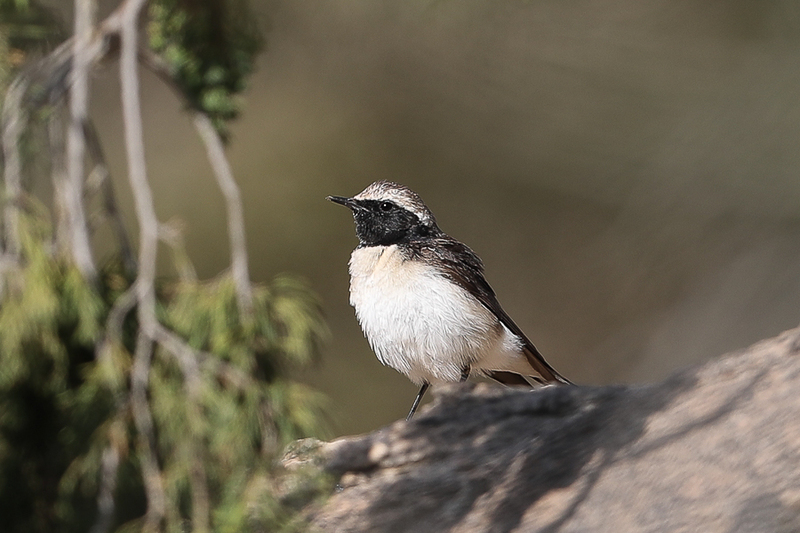 The Arabian Wheatear Oenanthe lugentoides is a rather scarce resident of the south-west highlands, but is also found in Oman, Palestine and Yemen, mainly in rocky, bushy sites. 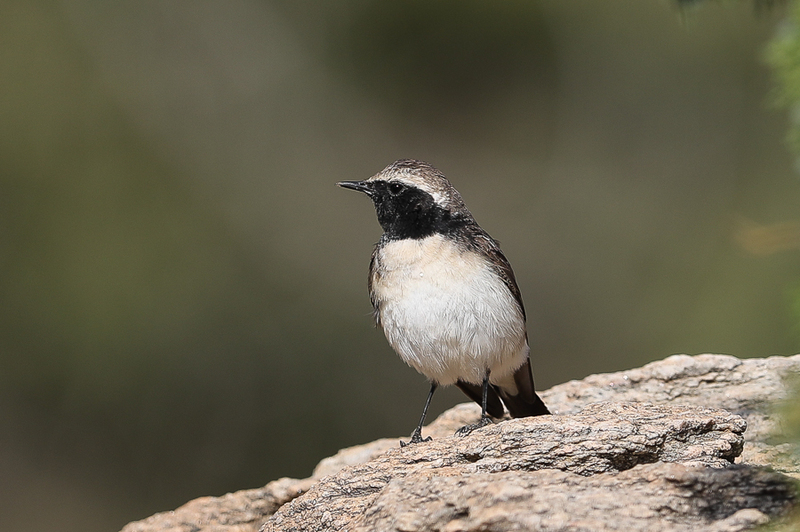 It is widespread on the Jebal Souda plateau, Raydah Escarpment, Wadi Talea’a and Tanoumah as well as the Taif area. 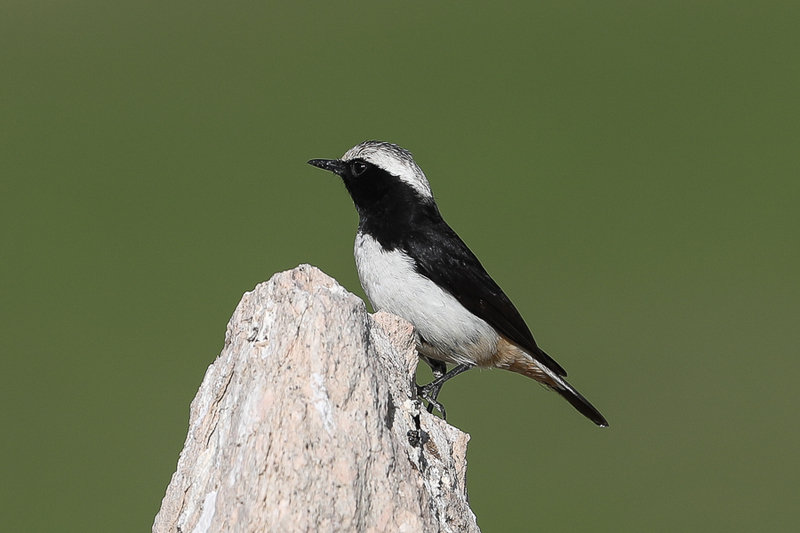 It was previously recorded more frequently than present so the species has probably declined slightly, with disturbance not thought likely to be the reason as it is often associated with gardens and regularly breeds near human sites. 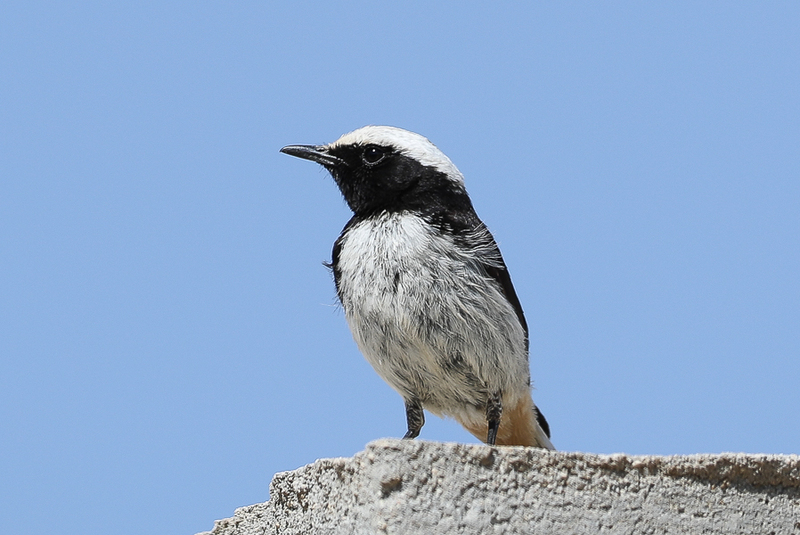 They nest in holes in terrace walls and feed largely on insects.